The Australian Dental Association (ADA) NSW has established its reputation as a trusted voice of the profession, representing and supporting dentists throughout their careers. Just as ADA looks after the needs and interests of its members, Dixon Advisory has been helping Australians grow and manage their wealth for more than 30 years. We are excited to partner with ADA to offer members investment advice, self managed superannuation solutions and expert insights which may help you shape your financial future. In conjunction with ADA NSW, we will be hosting a range of education seminars* designed to help you understand some of the key financial concepts you may wish to consider when managing both your practice and personal financial affairs. These seminars are designed to offer practical tips and solutions to help you navigate the opportunities and challenges presented by today's dynamic economic and investment environment. The Wise program – an education series designed for women by women, that facilitates conversations around intelligent financial decision-making, with a commitment to empowering and inspiring confidence. The program encourages women to meet, connect and learn about financial matters in a comfortable setting through a series of educational workshops facilitated by Dixon Advisory’s experts. help with managing public service superannuation benefits. 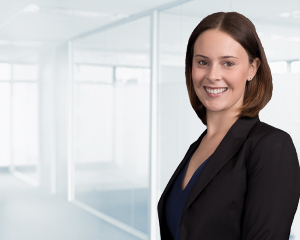 As a member of the senior leadership team in Sydney, Katie has a comprehensive understanding of Dixon Advisory’s services. Katie’s role is to help her clients understand their financial situation and provide information about what the firm does and how we can help. Katie is also the ambassador and program manager of the award-winning Wise program.